the canDIshhh tales: Starbucks Bottled Frappuccino on the GO! I've seen these Starbucks bottled drink during my travels. Here in the country, I've seen them mostly in Subic and in S&R. I've often wondered why it wasn't available in the Starbucks stores. I guess now, we don't have to wonder! Hihi.. These Starbucks Bottled Frappuccino is not officially available in Starbucks stores nationwide. Not only that, they will also be available in convenience stores and select supermarkets. Wonderful, right? No need to head on to the nearest Starbucks store for your Starbucks fix! Starbucks Bottled Frappuccino® will now be officially available in all Starbucks stores, selected supermarkets and convenience stores nationwide. 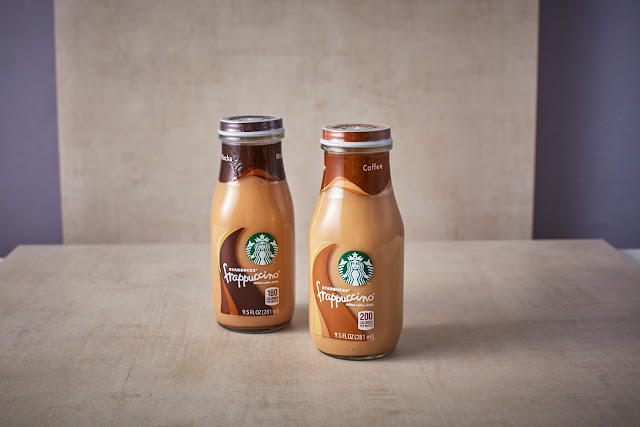 MANILA, October 2016 – Starbucks Coffee Company is now making its ready-to-drink bottled coffees Starbucks Frappuccino® available in the Philippines, allowing its loyal customers to grab their favorite drink at any moment to lift their day. The Starbucks Frappuccino® range will be sold in Starbucks stores, bottled section of supermarkets and select convenience stores across the Philippines. As an important extension of the Starbucks Experience, Bottled Frappuccino® is the perfect treat to delight, surprise and provide an uplifting part of our customers’ day. It will become the catalyst to inspire an even more fun and creative occasions for our customers to enjoy a shared moment of connection with their loved ones, family and friends.